We’ve arrived at the Winter Solstice and the 12 Days of Randonneurmas has reached its final installment. Let’s go out by lighting up the the night – and the days– as we push through the dark winter ahead. 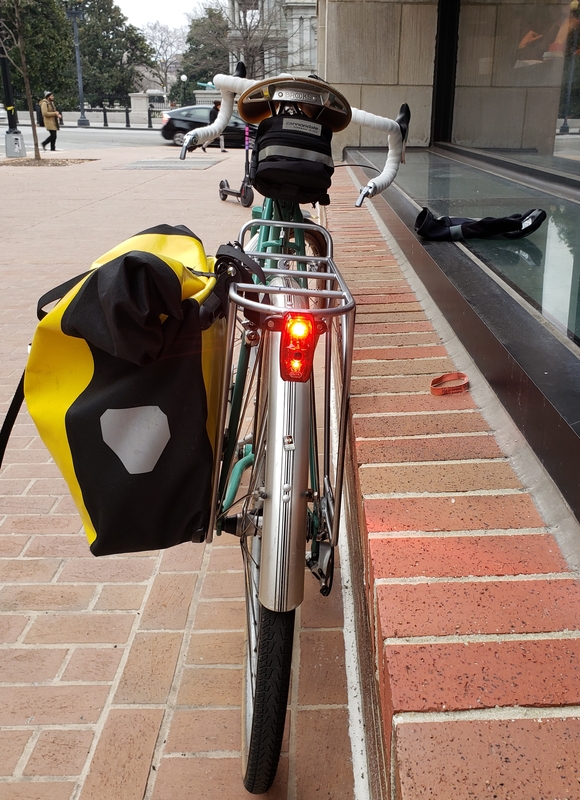 I went on a quest this year for a rechargeable taillight for commuting that was also bright enough for daytime use. Ideally, it would have a long enough run time to use on randonneur rides as a backup to our generator light. I settled on the new Daybot from PDW. It can run up to 20 hours in daytime pulse mode, and in night mode 20 hours on solid and up to 100 hours in pulse. For a light that costs $35 MSRP, that’s tremendous value. PDW sells it with mounts for seat post and seat stay positioning, and will send in the mail a free clip for attaching to a bag or their own rear rack mount. I managed to lose one off the bike when I didn’t mount it securely, but this light is so good — and affordable – that I bought a replacement. I put a rubber band around it now for peace of mind. Long run times, low price, and very bright in the daytime, what’s not to like? 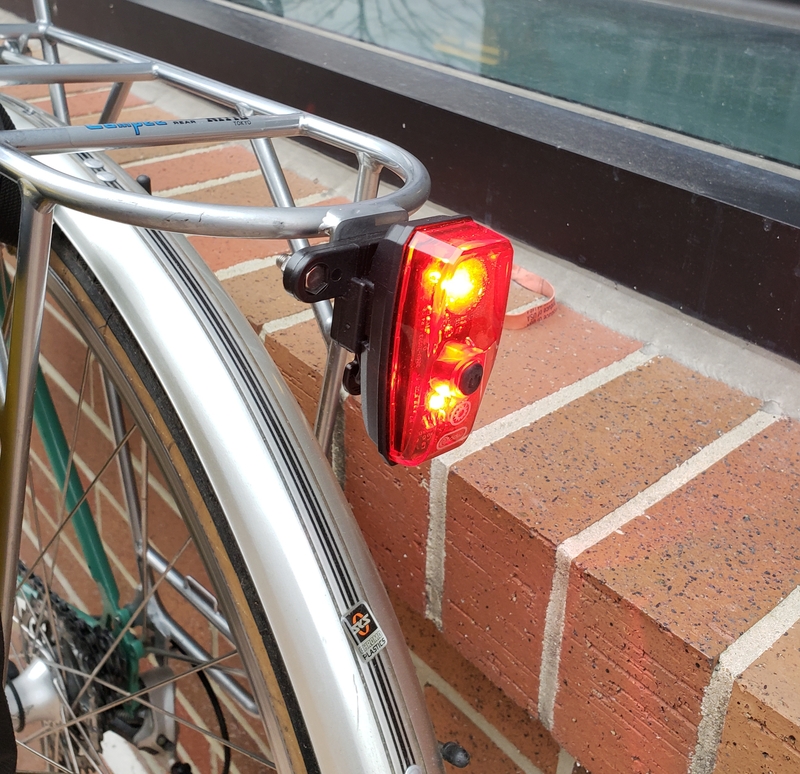 LED lights are so good now, there is no reason not to run a taillight in the daytime for that extra margin of safety. With that, Randonneurmas bids you farewell and happy holidays! Thank you for being part of the fun, and I wish you and yours the best in 2019.